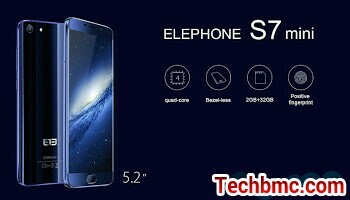 Elephone S7 Mini is the smaller version for Elephone S7. which I posted previously on this blog. The both Smartphones shares many features in common except for the smaller 5.2 inches display, 2G RAM/32GB internal memory and the Quad-core MT6737T processor on the Mini version. The full specs is listed below in the specs sheet. Buy Elephone S7 From Gearbest Here. including other phones from Elephone.